Are you new to reverse engineering or just want to refresh your knowledge? In part 1 of our reverse engineering series, we’ll cover the basics of reverse engineering from scan data to CAD. What is reverse engineering and why would I need it? It involves gaining a deeper understanding of how and why the original part was designed the way it was (known as design intent). Use this intelligence to your advantage when designing the new part. It reduces product development costs and speeds up the design time frame. What types of applications are particularly useful for reverse engineering? CAD model of a hybrid kayak/canoe. Learn how two-time Olympic medalist, Fabien Lefevre, redesigned a boat based on scan data of an existing kayak: reverse engineering case study. 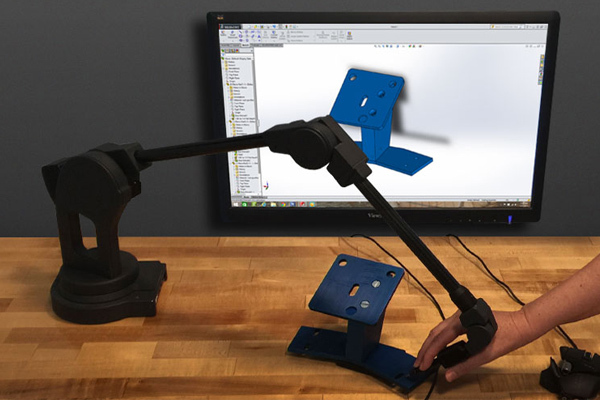 Why would you do reverse engineering with a 3D scanner instead of using hand tools? The first step of reverse engineering is to take measurements of an existing part so it can be used as a guide for building the new CAD design file. Hand tools such as calipers are good at taking simple measurements, but they are not practical if the part has complicated features. 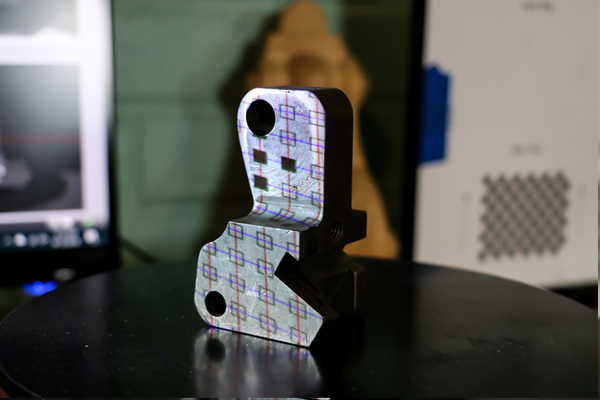 A 3D scanner comes in handy when you are reverse engineering a part with complex geometries that is difficult to measure in any other way. A 3D scanner makes it easy and fast to measure parts that have freeform shape. In this example, a Geomagic Capture 3D scanner collected scan data containing all the measurements of the object that were later used to model a CAD file. In order to manufacture the part, a CAD model of the mold (negative imprint) is created for production purposes. What does the reverse engineering process from scan data to CAD look like? This information will be used to analyze the construction in order to create a new design file. Use scan data as a reference to resketch the object into CAD model. If necessary, add new features relevant to the newly created part. I thought 3D scanners output a CAD model, is this not the case? 3D scanners don’t output a CAD model directly. The output of a 3D scanner is scan data (ply, obj, stl file) in the form of point cloud or polygon mesh. Scan data act as one entity so a CAD modeling phase is required to extract and model out each feature within the part. The good news is that scan data provides you with the surface measurements you need to reconstruct the new CAD file. The scan data file is imported into the reverse engineering software where it will be used as a guide to sketch the CAD model. Left: Scan data doesn’t separate all the features of the part. Right: You need to extract and sketch each feature to recreate the part into CAD. What do I need to keep in mind during the reverse engineering process? The CAD model, the blueprint of the part, is the conceptual design. In reality, every manufactured part will have slight variations from the CAD model because the production process is not perfect. Reverse engineering is a process of rigorously analyzing an existing physical part to extract and build CAD features to construct the new part. Often, the design intent can be masked by poor manufacturing or damages caused by wear and tear. Keep this in mind when you are rebuilding the part from scan data to CAD. It will ensure you are capturing the true intent of the creator and to ignore the imperfections. It’s also important to understand that you are creating a new part to suit your design intent. The existing part should only serve as a guide. Ultimately, you need to decide what features to keep and what modifications you need, if any. Read part 2 of our reverse engineering series where we discuss the different types of 3D scanners commonly used for reverse engineering: Examining the Reverse Engineering Workflow from Scan to CAD.